NAREB has played varying influential roles in the implementation of equal rights, fair housing, equal opportunity, and community development legislation at the local, state, and federal levels since its founding. 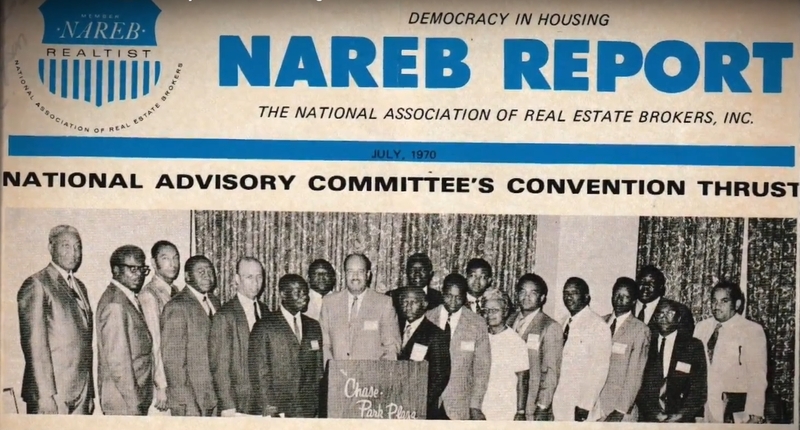 Some significant policy achievements of NAREB were the first local fair housing legislation in 1962 in New York City, the first state fair housing legislation in 1963 in California, and the first national fair housing legislation in both 1947 and 1968. It was the 1963 California legislation that propelled NAREB into national prominence. Other significant REALTIST© involved legislative achievements include the creation of HUD in 1964, the Voting Rights Act of 1965, the Community Reinvestment Act of 1977, the FIRREA in 1989, and establishing affordable housing goals for Fannie Mae and Freddie Mac in 1992, as well as the updates to each of these laws and the implementation of many associated new laws, regulations, and presidential orders to the present date. NAREB has a strong social activist history and culture of vigorously supporting equal opportunity and fair treatment in the real estate and community development marketplaces for African Americans. REALTIST© marketplaces, urban and rural, have changed from places to be avoided by non-Blacks to places of choice for most income, age, and ethnic/racial segments of American society, making them some of the most attractive real estate investments, workplaces, and cultural lifestyle areas in America. NAREB is comprised of its affiliate organizations: The National Society of Real Estate Appraisers (1956), Real Estate Brokers Management Institute (1968), The Women’s Council of NAREB (1969), The Mortgage Bankers/Brokers Institute (1968), United Developers Council (1974), Commercial Industrial Division (1985), NAREB Investment Division (1986), Contractors Division (1987), Sales Division (1987), Housing Counselors (1994), the Young REALTIST© Division (1998), and State of Housing in Black America (SHIBA) (2011). NAREB, through its University of Real Estate, founded in 1986, and each affiliate, provides professional training and education for REALTIST © members.